I've always been more a skirt girl but lately I seem to be edging more towards trousers. 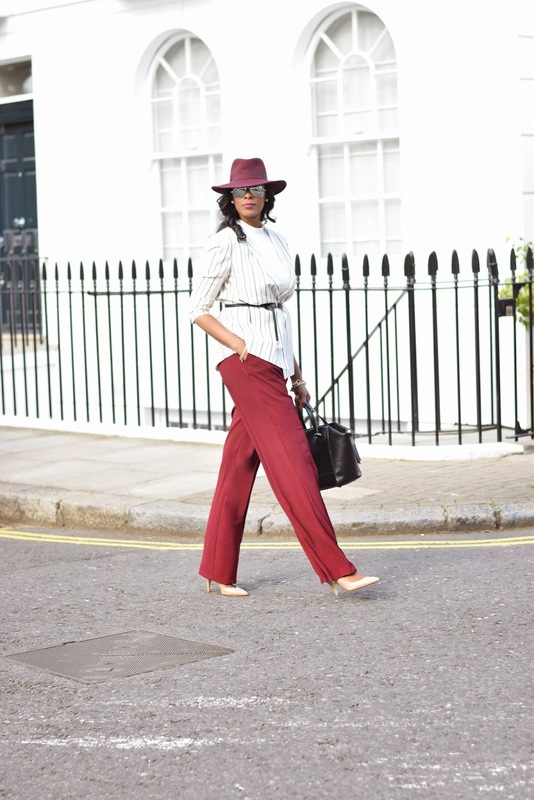 This is probably due to the fact that there are a much larger variety of long trouser options available at the moment with the 70's trend in full swing! 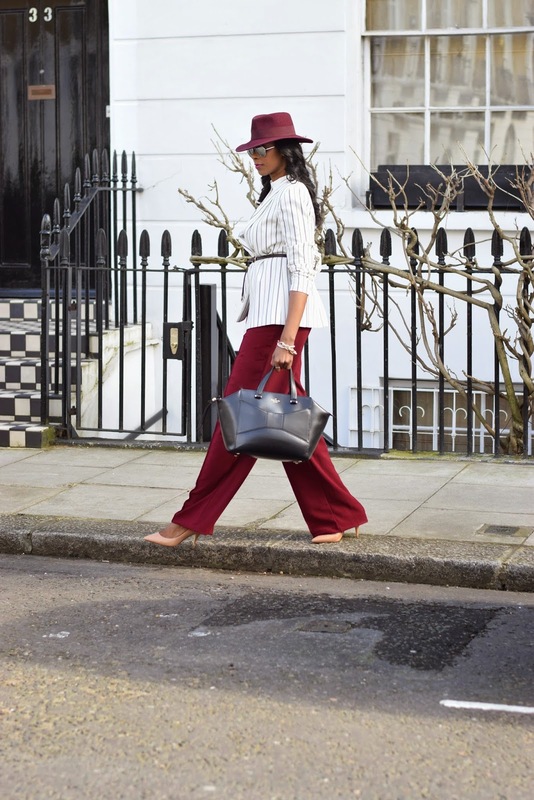 These palazzo trousers from Asos Tall were another one of my must haves, they are super long and so easy to wear. Not only do they come in this burgundy shade but they also have black too here. 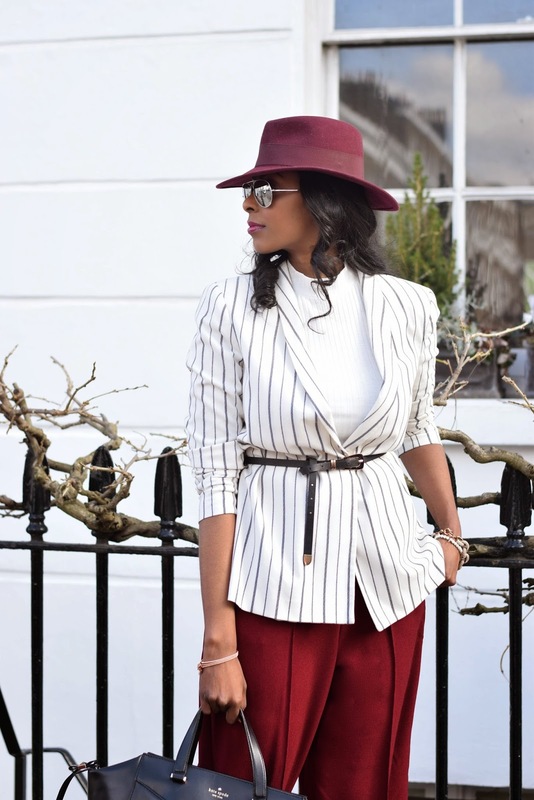 Keeping my look sophisticated, I styled these pants with a burgundy fedora, a striped blazer and skinny belt to emphasise my waist, as sometimes a wide leg can be quite overwhelming. The colour of those trousers are groegous! Great outfit! Love the colors. Like you, I gravitate toward skirts but 70's-style trousers are cute, too. I used to be a trousers girl but I'm slowly getting into skirts! 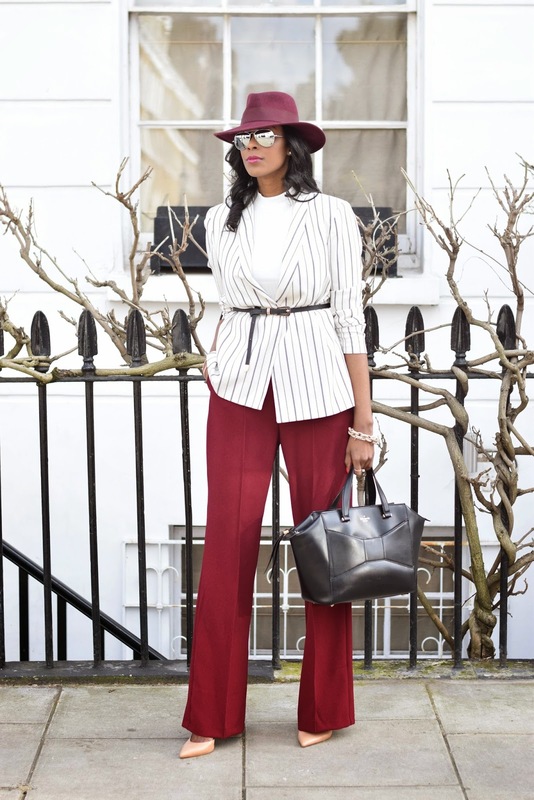 I'm loving the vertical stripes with the wide leg - adds a bit of balance to the look! 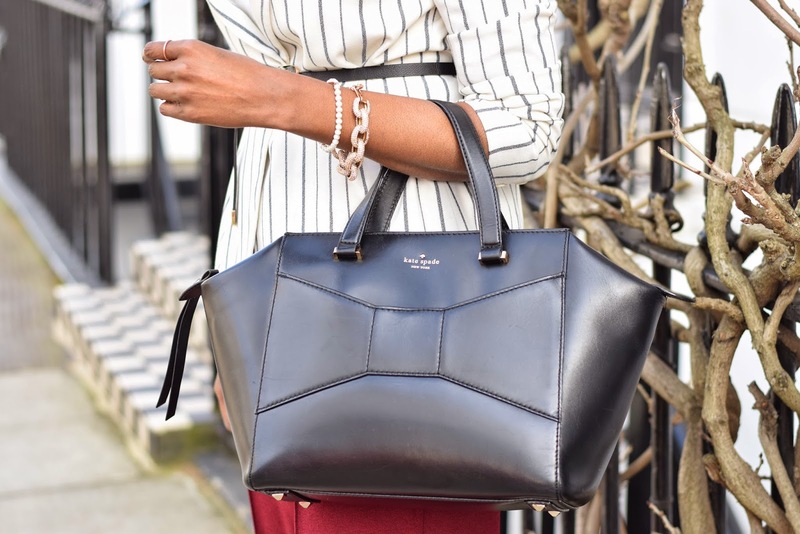 Love how bold your style is! LOVE this whole look! Esp those trousers!! YOU ARE AMAZING!!!!!!!! So glad I've found your page! !